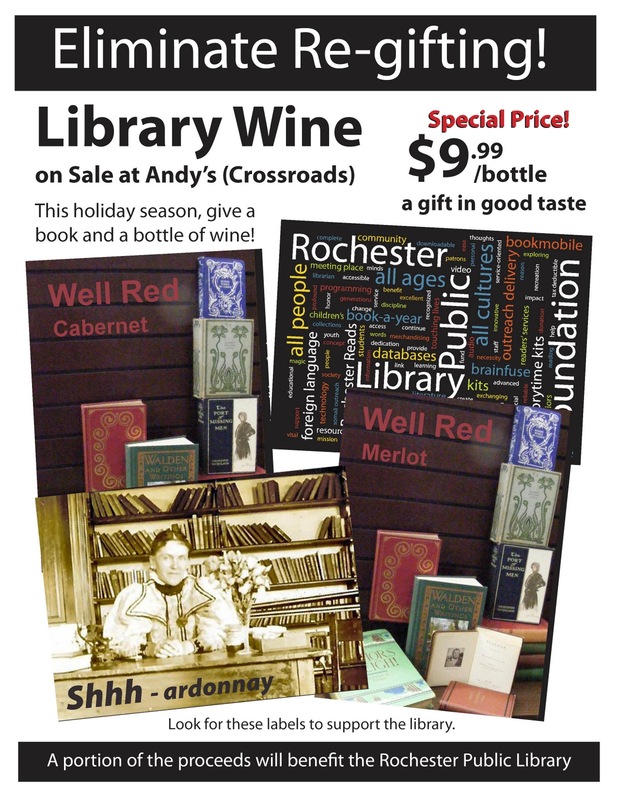 Just in time for the Holidays, Andy’s Liquors has teamed up with the Rochester Public Library to provide a perfect idea for gifts! A great book and a bottle of wine! We have the books in the Bookstore and at the Friends Book and Bake Sale (Sunday December 5th), all you have to do is go to Andy’s Crossroads for the wine! Another huge Thank You to Ginny for her fabulous artistic talents – the new computer is a total success! 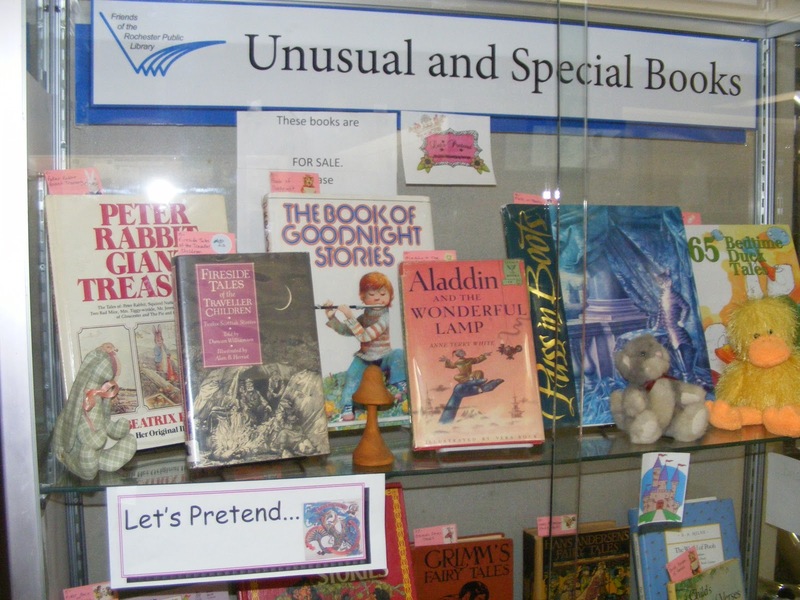 Just in time for the upcoming magical season, the Unusual & Special Books team has conjured up a wonder-full assortment of classic fairy tales, verses and rhymes, fables, and bedtime stories to share with the children (young and old) in your life. Titles include: The Snow Queen illustrated by Edmund Dulac, First Book of Fairly Tales (a board book), Kipling’s Jungle Books, Uncle Wiggily’s Picture Book, a Beauty and the Beast pop-up book, Fireside Tales (Scottish) of the Traveller Children, the Classic Volland edition of Great Children’s Stories, and many more. 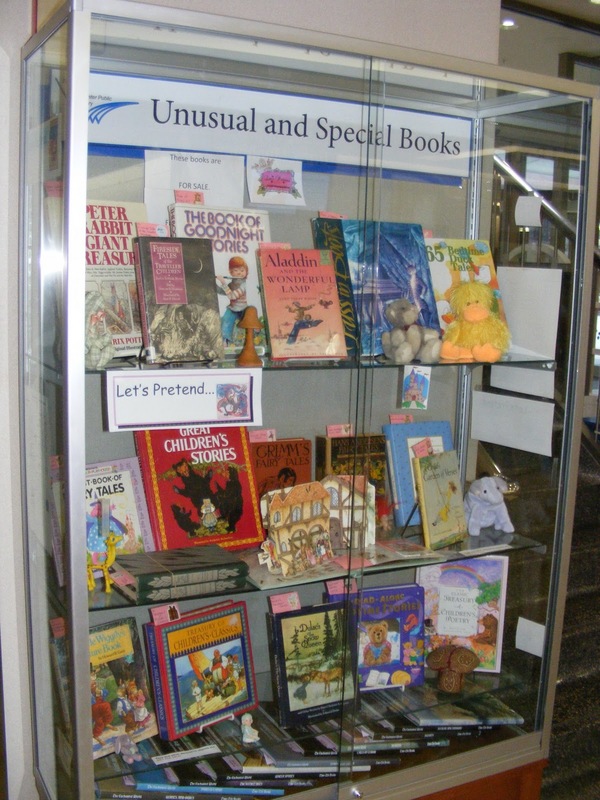 The books, priced from $5 to $25, are displayed in the glass case next to the elevator on the Library’s main floor; the Friend’s bookstore staff can help you purchase your selections. 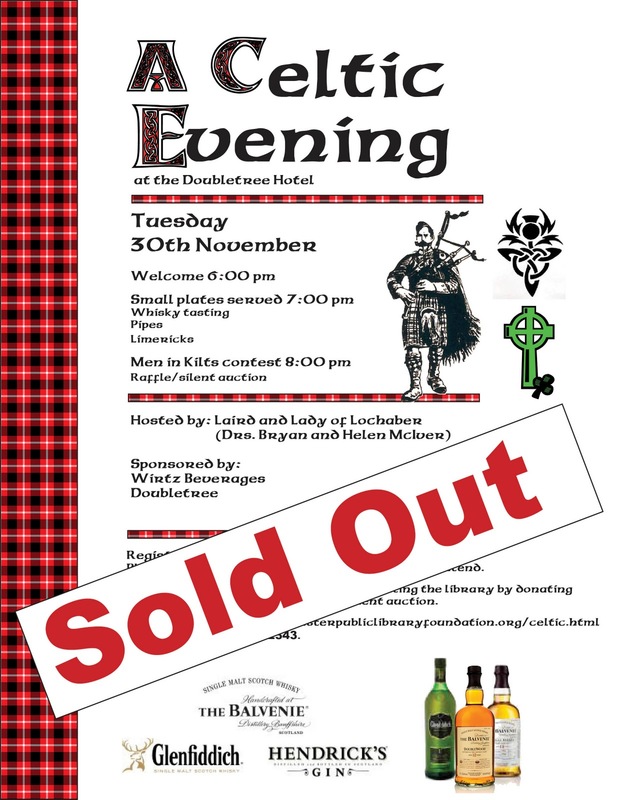 A Celtic Evening update – SOLD OUT! We thank everyone who is attending this function for supporting the Rochester Public Library. We reached event capacity yesterday! 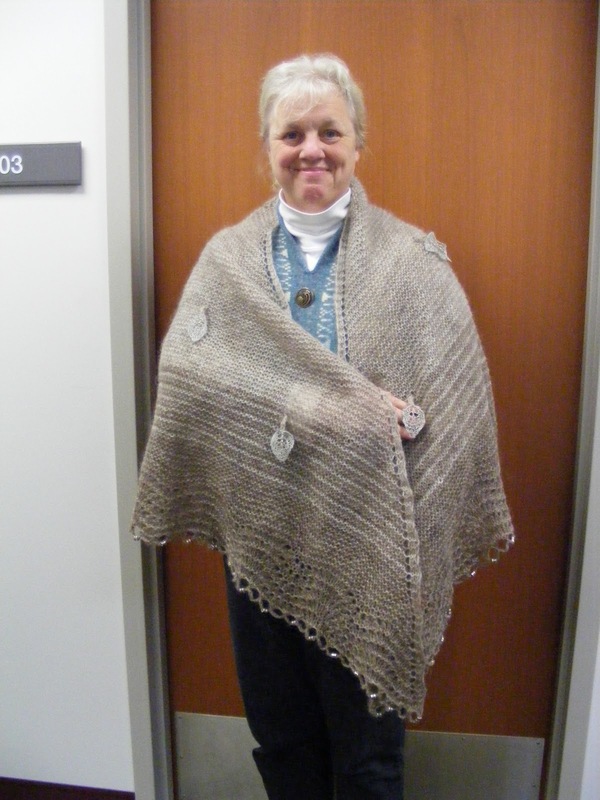 An Icelandic wool shawl with paper leaves and silver beads was knitted by Lace-maven, Ursula Mayr. The beads spell out a special quote: “A walk in the woods, rustling leaves in a book.” This is an extraordinary piece of craftsmanship with a truly unique design. 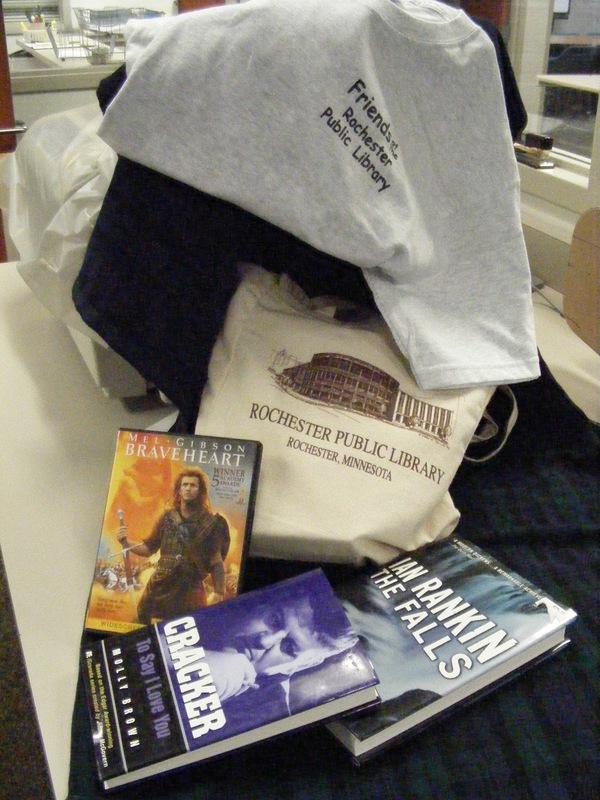 Silent Auction item: Friends of the Library book bag, t-shirt, BraveHeart DVD, and 6 hard cover books. Over $50 value! 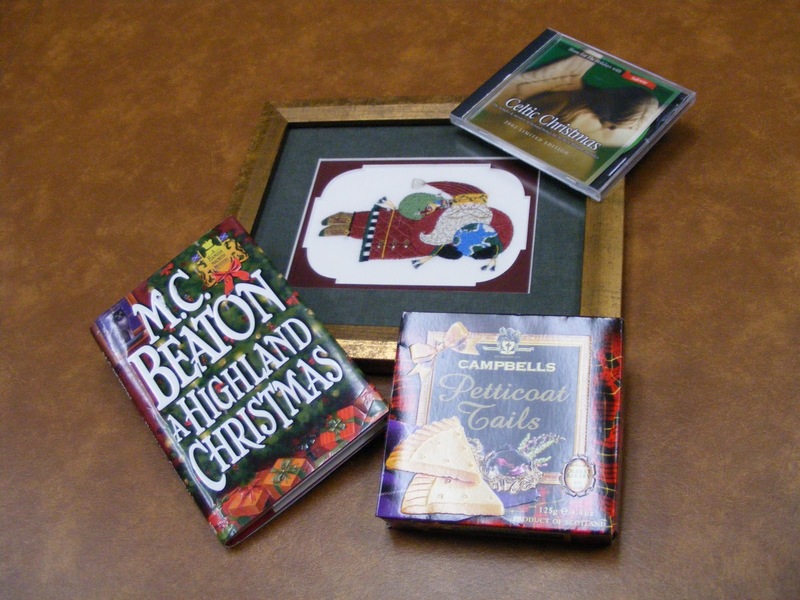 Silent Auction item: A Celtic Christmas. Donated by Artistic Framers – 16 3rd St SW. The World Santa framed Celtic Art only is valued at $90. Shopping at Amazon.com can help support the library! 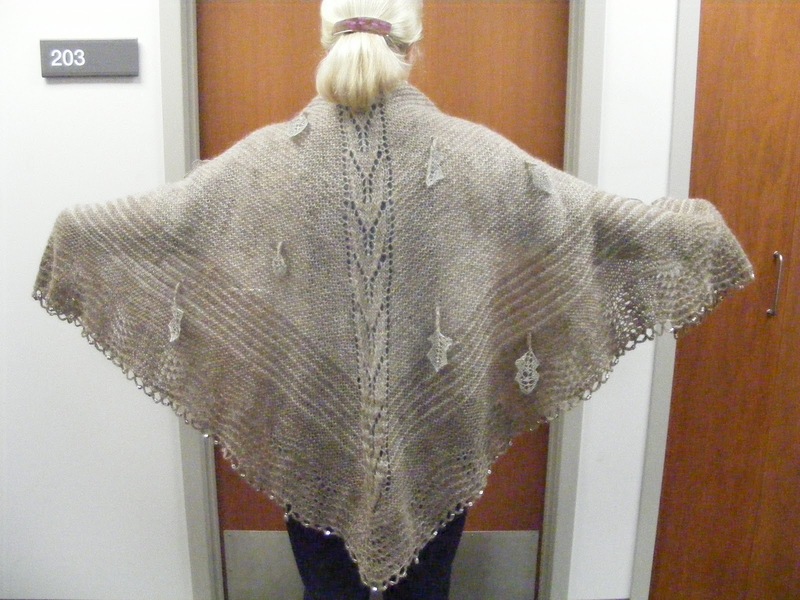 Republished from the Rochester Public Library’s blog. The holiday season is coming up faster than any of us would like to admit. I don’t know about anyone else, but I don’t like the overwhelming crowds when I shop for my family and friends. Online shopping, I found, is a great way to avoid the claustrophobic, I’m-gonna-scream-if-one-more-person-bumps-into-me feeling. If you’ve ever used Amazon, you know that, just like a library, they offer more than just books. Much more! They have everything from diapers to snow blowers, music, movies, toys, games, electronics, tools, clothes, snacks, pet food, and even flame throwers! I’m serious! They have home decor, musical instruments, lawn mowers, shoes, magazine subscriptions, seat covers for your cars, I could go on and on for a good long time. The best part of shopping at Amazon is that I help support the library at the same time. The Friends of the Library have a portal to Amazon that you can use to turn your purchase into a donation. How awesome is that? All you have to do is use the portal when you shop and anything you buy, and I mean anything, a percent of the purchase price goes back to the Friends with no extra charge for you! Remember, you can always click onto the library’s blog from this site in the right-hand column near the bottom. 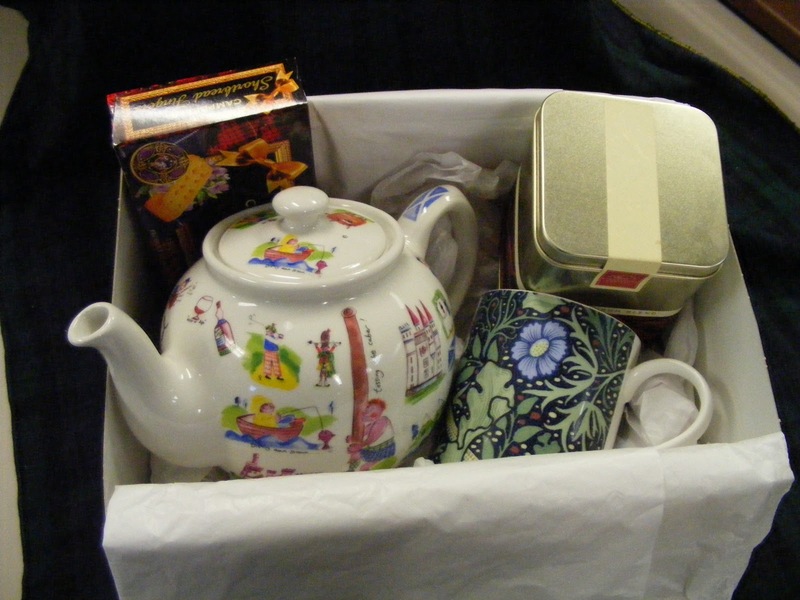 Scottish tea set with Edinburgh blend tea, Campbell’s shortbread fingers, and a Morris tea cup will be in the Silent Auction. 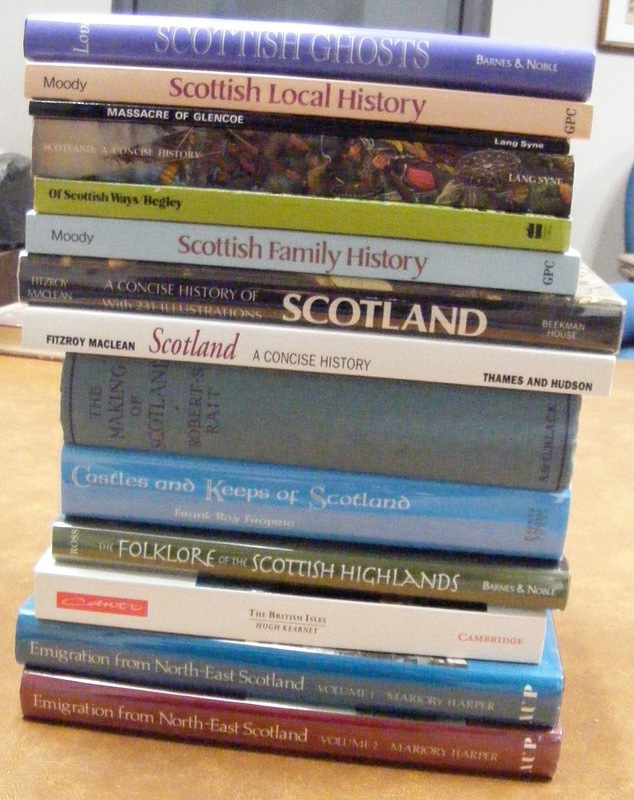 Books about Scotland will be in the Bucket Raffle and Silent Auction.